BT said it was “declaring war” on the companies that regularly pester its customers with nuisance calls on subjects such as PPI and personal accident claims. 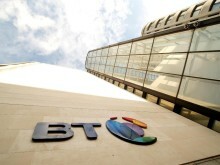 BT estimates that the BT Call Protect service could divert up to 30 million nuisance calls a week to a junk voicemail box – preventing them from irritating customers. The exclusive Call Protect Service has been designed so it is easy for customers to switch on and simple to manage from the home phone or online. The latest research carried out for BT shows that on average people receive four nuisance calls a week and that 60 per cent find nuisance calls stressful. More women say they find nuisance calls stressful than men do, with two thirds of women and just over half of men revealing they find these stressful. More than a quarter of people are concerned about their parents or grandparents getting nuisance calls in case they are conned. Matt Hancock, Minister of State for Digital and Culture, said: “Nuisance callers are a terrible blight on society and Government and industry are working together to crack down on them. We’ve forced companies to display their numbers when they call you, made it easier to prosecute those involved in making the calls, and increased the maximum fines up to £500,000. We welcome BT's new service, which offers customers an additional level of protection, helping them to fight back against this ongoing harassment." The BT Call Protect service is the first of its kind in the UK, combining network intelligence with the ability for customers to control the calls they receive, either from the home phone or online. The launch of the BT Call Protect service has been made possible by a technological breakthrough, which has been achieved by harnessing huge computing power to analyse large amounts of live data. This analysis enables network experts at BT’s centre in Oswestry in Shropshire to identify rogue numbers – typically those that make enormous numbers of calls - and to add them to a BT blacklist. It works proactively to divert calls before they even reach and irritate a customer unlike reactive blocking where the customer has been troubled and where the numbers used by nuisance callers are changed frequently to avoid detection. This proactive intervention will drastically reduce the number of such calls customers receive. BT says recent data shows that it could divert up to 15 million calls a week from personal accident claims and PPI companies alone. Although the BT blacklist will divert the top offending nuisance callers, for calls not captured by the technology, customers will be able compile their own personal blacklist, by adding individual unwanted numbers. They can add a number simply by dialling 1572 after receiving the call or by going online. If large numbers of customers identify troublesome numbers that they wish to divert they will be also added to the BT blacklist. They can also set BT Call Protect to divert whole categories of calls, such as international calls or those from withheld numbers. The service will then prevent these types of calls from reaching the home by diverting them into the junk voicemail. BT has published the nuisance call figures for the seven days 13 – 19 December 2016 toillustrate the Top five worst nuisance callers by category. BT has signed up television and radio presenter, Christine Lampard as its ambassador to promote BT Call Protect to customers. She said: “All of us have experienced the frustrations of nuisance calls at home, be it interruptions at family meal times, while you’re busy working or just trying to have a quiet evening in. John Petter, chief executive of BT Consumer, said: “We’re declaring war on the companies that regularly pester our customers with nuisance calls on subjects such as PPI and personal accident claims. We’re giving our customers the means to fight back against the millions of unwanted calls for free. “We’ve been at the forefront of equipping our customers to defend themselves against the huge numbers of PPI and unwanted marketing calls that are continuing to grow. Now, with our unique technology, we can identify and tackle huge numbers of those calls in the network and also give our customers control over the calls they receive. BT has previously led the fight to protect its customers from child abuse images on the internet with the development of the Cleanfeed filter. And the company has helped prevent nuisance calls by developing the BT8500 Advanced Call Blocker phone which blocks up to 100 per cent of unwanted calls. It is simple for customers to sign up to BT Call Protect. All they have to do is visit www.bt.com/callprotector call 0800 389 1572. Enquiries about this news release should be made to the BT Group Newsroom on its 24-hour number: 020 7356 5369. From outside the UK dial + 44 (0)20 7356 5369 or email newsrooom@bt.com. 2,001 adults from England, Scotland and Wales participated in the study. The survey was drafted by BT and the data was outsourced and gathered in December 2016 by Censuswide, an online research database which polled the respondents on our behalf. On average, people receive 4 nuisance calls a week. If people don’t hang up immediately, the average nuisance call lasts 1 minute and 20 seconds. On average, 16-24 year olds receive 3 nuisance calls a week. This is compared to 55+ year olds who receive 5. Experience counts when it comes to handling these calls. If 16-24 year olds don’t hang up immediately, the average nuisance call lasts over 2 minutes. This is compared to 55+ year olds who report that the average call lasts for just 56 seconds. On average, people in the North East receive the most nuisance calls per week – 5. The majority of people said they most frequently receive nuisance calls in the pm (59%), with the most common time being 4.35pm. Out of the respondents that said they most frequently receive nuisance calls in the am, the most common time to receive them was 8.29am. Over a quarter (28%) of people are concerned about their parents/ grandparents getting nuisance calls in case they get conned. 60% of people find nuisance callers stressful, with over a fifth (22%) finding them ‘very’ stressful. This is particularly concerning as over a third of Brits suffer anxiety as a result of stress (36%) while almost a fifth (18%) suffer blood pressure increases.